Will be archived here after the broadcasts by Friday. Q & A with Dylan Avery right after the West Coast Premiere of his new film, Loose Change, An American Coup. On Google alone, the preceding versions of “Loose Change” have been viewed nearly 125 million times. On YouTube the film has a combined viewership of over 30 million worldwide. More than two million copies of the DVD have been sold, and thousands more have been given away. The original “Loose Change” film has been translated into twenty-six languages and has spawned a truth movement around the world. The initial film had a budget of $2,000. This latest version, “Loose Change 9/11: An American Coup”, has an estimated budget of $1,000,000. “Loose Change 9/11: An American Coup” is available exclusively on DVD September 22, 2009. Dr. David Ray Griffin speaks LIVE & answers questions from the audience. Introduced by Peter Phillips, a founder of Project Censored. David Ray Griffin has 2 new books which have just been released — The Mysterious Collapse of World Trade Center 7-Why the Final Official Report About 9/11 Is Unscientific and False and Osama Bin Laden: Dead or Alive? both of which you can find in the No Lies Radio webstore. Mysterious Collapse was just released in the last few days. At 5:20 in the afternoon on 9/11, Building 7 of the World Trade Center collapsed, even though it had not been struck by a plane and had fires on only a few floors. The reason for its collapse was considered a mystery. In August 2008, NIST (the National Institute of Standards and Technology) issued its report on WTC 7, declaring that “the reason for the collapse of World Trade Center 7 is no longer a mystery” and that “science is really behind what we have said.” Showing that neither of these claims is true, David Ray Griffin demonstrates that NIST is guilty of the most serious types of scientific fraud: fabricating, falsifying, and ignoring evidence. He also shows that NIST’s report left intact the central mystery: How could a building damaged by fire–not explosives–have come down in free fall? “David Ray Griffin has provided a comprehensive dismantling of NIST’s theory about WTC 7, according to which it suffered global collapse because of ordinary building fires. Besides showing that NIST committed massive scientific fraud, Griffin also points out that NIST was able to complete its theory only by affirming a miracle: a steel-framed high-rise building coming down in free fall even though explosives had not been used to remove its columns.”–Richard Gage, member of American Institute of Architects; founder of Architects and Engineers for 9/11 Truth. 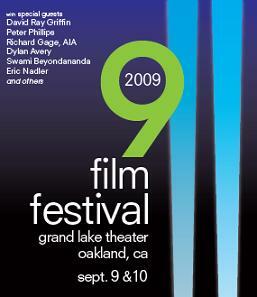 If you are in the SF Bay Area, please attend the film festival in person. Only $10 admission at the door. For more information and the film schedule click here.